Carwash towels wholesale in size 16X27 for salon can be used in Hair salons, Nail salons, Gyms, Country clubs and Golf courses etc. Detailing jobs take a lot of attention to — well, detail. To get a customer's car looking as though it just rolled off the lot, you need to use special tools, cleaning products and loads of elbow grease. One essential part of this cleanup? Hand towels that can wipe down surfaces both inside and outside the car. You want towels big enough to work on a large surface area but small enough that your employees can control them. Our 16x27 car wash hand towels work perfectly for this purpose. When you purchase towels from Towel Super Center, you get durable, sturdy products that will stand up to high-intensity use. You can squirt cleaner on them and dust a car interior or apply a surface protector to seats. Upon finishing, just toss the towels in the washing machine, and you will get out all the smells and stains that come with the territory during any car detailing job. One, of course, is the ability to choose your color. Pick from a rainbow of choices, including yellow, red, black and burgundy. You can complement the colors of your car wash or just choose something bright and attention-drawing to get people to notice your business. Quality: Towels used for detailing withstand a lot of use and get loads of chemicals on them. Our high-quality towels will keep their shape and thickness through wash after wash.
Absorbency: The 100 percent cotton material continues to absorb liquid throughout its long life cycle. Softness: These towels are gentle enough to use on a car's interior and exterior. They won't scratch or otherwise harm the finishes. 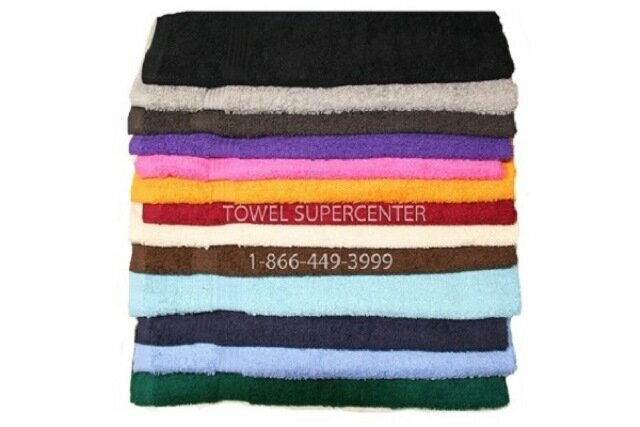 Size: You can store these 16x27 towels easily and pull them out for any job. We feel confident you will like our towels so much, you'll want to order them in bulk. You can help yourself to additional savings when you do so. We offer wholesale pricing, discounted on orders of more than 10 dozen. You don't want to have to keep reordering towels. Buy them in bulk from us to save yourself time later. Plus, you save on shipping costs when you get a bunch, instead of having to pay for shipping on several different orders. Whether you want pink, blue, green or grey, you can find a winner that fits with your car wash's color scheme and branding. You'll never get stuck overspending on a vital element of your business when you buy from Towel Super Center. We also sell other towels in a variety of sizes and colors, including classic white, if you want to stock up for other areas of the car wash, such as your restroom or employee break room. Get an estimate for your colored car wash hand towel order today by contacting us for pricing information.